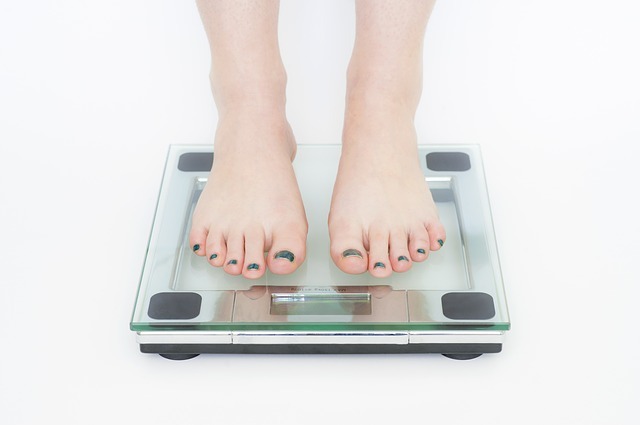 Hypnotherapy has long been used to manage weight issues. Our record in this area is solid - we have great success helping clients manage weight issues. And yet, in most cases weight is not the issue at all. There are many instances when they use of food, and unhealthy eating habits, are the result of other issues which our clients have been troubled by for a long time. It's actually quite rare for the weight issue to be a stand-alone issue. This is one very good reason why many diet simply don't work. The underlying issue is left unaddressed, and after a determined but temporary effort on the part of the client, the weight simply returns. When you use hypnosis to address weight issues you will change not only the eating behaviour, but also the underlying belief system. This is precisely why our healthy eating program is so effective. People report not only losing weight, but feeling better and more positive in general. Understanding weight issues as you progress is key. There are many aspects of modern life which conspire against us and push us towards a diet which is entirely unhealthy. The excessive amount of sugars, sodas, fast food and highly processed foods available to us on a daily basis is something we are constantly battling with if we don't have a plan in place. We work with many clients addressing weight issues. please read this page in detail. You will learn a lot about how dieting is marketed, as well as what really works. Our assumption is that you are serious about losing weight. If that is the case, the first place to start is to get a little knowledge about the process. Our weight loss program enjoys success because it is not only effective, it's enjoyable. Clients learn to use food helpfully and sensibly, using the moderation attainable with hypnosis. As a result they not only lose weight - it stays off. Other systems fight against your natural appetite and desires. Our system works within and slightly alters them. You will think about food in a subtly different, healthier way. Real change occurs when that mindset shift happens! It's not like you can't have that dessert, you just simply don't want it so much. 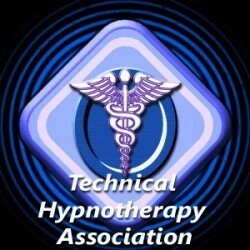 There are many ways to use hypnosis to assist in a calorie controlled diet. However there are far more effective ways of using hypnosis if you are serious about managing your weight. Our objective with this program is to instill a healthy use of food, create good food discipline and establish a changed way of viewing and thinking about food. ​Our assumption is that you already know what is considered a healthy diet, but are simply having some challenges with eating in that healthy way. Our method involves some simple and easy to follow techniques around how you eat, and uses hypnosis to reinforce healthy reasons as to why you eat. Diets are big business. And anywhere you find the lure of financial gain, you will find a broad spectrum of practitioner's - from the sincere to the charlatans. Our system has worked for many clients over the years and draws on well-established practices - both in terms of a healthy diet as well as in terms of exercise. Many diets simply restrict the way you use food. You may lose some weight initially, but as soon as the "diet" ends it comes right back on again. This is because you were asked to address your issue at a conscious level, while the problem lies at an entirely subconscious level. Simply reducing calories may temporarily leave the person "lighter",but so dissatisfied that it's only a matter of time before their diet fails and they revert back to their former weight. It does nothing to address the way they actually use and think about food. You are quite literally left struggling against a part of you that "wants more". And that's not a fight you can win. Additionally, most diet systems entirely fail to address an essential aspect of healthy living - exercise. A diet with no exercise component is not a diet, it is a con. Beware of terms like "virtual gastric band" hypnosis. Such ideas are compelling because they seem to promise zero effort and apparently remarkable returns. While low on scientific evidence, they are high on hype. There are serious questions about the efficacy of such systems. The long-term effects of these programs have not been studied, and therefore no evidence really exist of their effectiveness - regardless of the great marketing that backs them up. Simply choosing to buy food that is labeled "low-fat", or distributed by a pyramid scheme marketing method, is not going to work. Your intent may be good, but you are being sucked into the common misconception that there is an easy no-effort solution. They're simply isn't. The marketing of weight loss products and diets is a massive business. As a marketing exercise, the company that produces the easiest system to use, at a suitable price, with the lowest cost of marketing, stands to make a great deal of money. There is a problem with this. At no point does it take into account your success or failure to lose weight. Or to keep it off. The stakes are high, and there is no shortage of charlatans out there to snap up a few dollars. Assure yourself the success of the system you go with, before parting with any money. People are very quick to take advantage of others insecurities about self image and weight. It is unfortunately, a bit of a shark tank out there. You will shift the way you think about food. That is no small task. Using hypnosis we reduce your impulse to use food in an unhealthy matter, and it's still a measure of moderation that will have the desired effect. Additionally you will find yourself motivated towards an appropriate level of exercise. Your new and healthy outlook will leave you gently reducing in size until you stabilize at a comfortable new weight. Weight loss is dependent on a shift in eating patterns, and a shift in activity levels. You need to address the way you think about food - or else you will revert to previous eating. Our program establishes a process of healthy eating practices and ways of thinking about food that will underpin the way you think of food for the rest of your life. Like most things, it really helps to go into a program with a plan. You will be changing the way you think about food. You will be stepping up your exercise a little. You will need to choose a form of exercise that you enjoy - so that it's easy to commit to. Hypnotherapy helps make these decisions flow naturally. You will soon be nurturing your body with a new enthusiasm. You don't need to decide to run a marathon (unless you want to of course). For some people it will be a brisk walk each day. For others, a commitment to get into yoga daily. It really depends on where you're starting from. But you will choose to do something. So start to think about what you would like to do. Taking a ballroom dance class. Walking your own or a friend's dog. Getting to a pool once or twice a week. Stepping up your time at the gym. Deciding to do exercise with a friend, instead of alone. You can immediately see the fallacy of diet pills, herbal products that make outlandish claims and all the other Quick Fix diet. This is a process that will require effort and that is okay, you can do it. Using hypnosis you will be reinforcing your own commitment and giving yourself the extra motivation necessary to make the difference. You already know that you always feel better after a workout or yoga session. When you think about that feeling though, it's not just about how your body feels. You actually feel better at an emotional level. And yet, for some reason finding the motivation to get out and actually do it often meets resistance. You know at a conscious level, this is something you need. But deep down in the subconscious, something holds you back. Don't worry... That's where we come in! Most people describe themselves feeling a sense of euphoria after exercise. Sure it's tiring, but it's a good feeling of being tired. We are often asked by clients to help them remain motivated in their exercise program. This is a basic tenets of the work we do at Vancouver hypnotherapy. In many instances, we will introduce an element of motivation to exercise to programs that are seemingly unrelated to physical fitness. An example is when we work with a client with anxiety issues. The fact is, physical exercise helps us to release anxiety and stress. A client that comes through our doors and tells us, "No, I don't have time for physical exercise, I'm very busy at work at the moment... ". They're headed for trouble. The person that is too busy at work is exactly the one that needs to increase their exercise regime. Some people find this concept hard to grapple with. The motivation to figure it out is quite simple, though. It's just not that hard. We are strong supporters of both yoga and swimming as fitness regimes. With most clients, the objective is not to get you to enter an Ironman competition. Rather, stepping up to a sustainable fitness regime, which you enjoy and benefit from, is simply not that hard. In the case of one client, he simply started walking. Every. Single. Day. A year later he came into the office, unrecognizable. And he wanted to let us know that he had lost 90 lb, and was a happy and healthy 190 lb. In our weight loss program, we emphasize that neither diet, nor exercise alone is enough. It is a combined effort incorporating both diet and exercise and a healthy approach to managing stress.